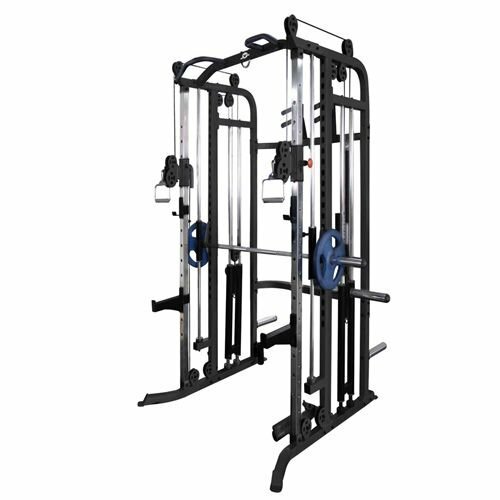 The Power Center Combo Bench is a Squat Rack, Flat Bench, Incline Bench, Decline Bench, 90° Shoulder Press Bench, and Seated Leg Developer all in one. Get a total-body workout on the most versatile and complete combo bench available. 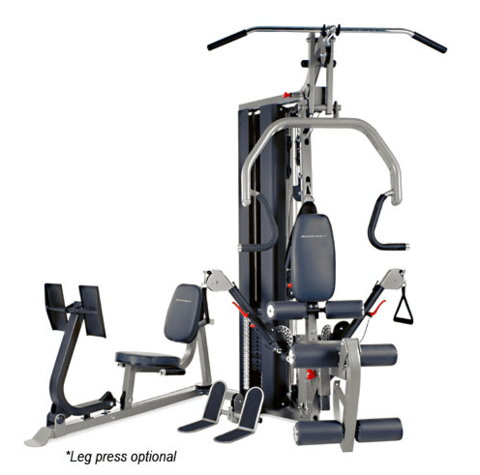 The Body Solid Bench Press / Leg Extension / Leg Curl Combo (GDIB46L) Bench is a Squat Rack, Flat Bench, Incline Bench, Decline Bench, 90° Shoulder Press Bench, and Seated Leg Developer all in one. 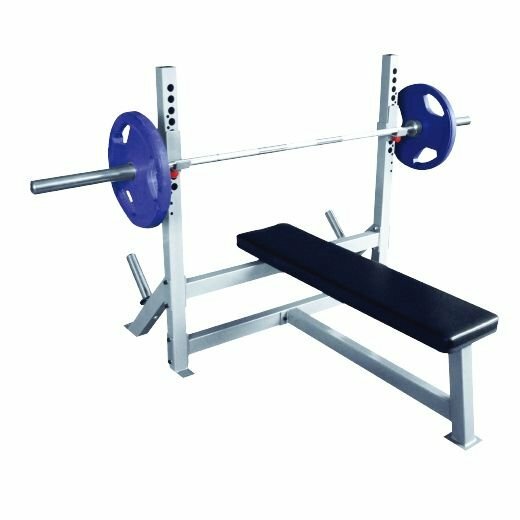 You can see the dynamics of this bench as soon as you glance at the multi-position, telescoping uprights that safely hold the bar for bench exercises, turn around to become a Squat Station. The 6-position Flat / Incline / Decline / Bench features pop-pin adjustable DuraFirm”! seat and back pads that are extra-thick, ultra-comfortable, and will never bottom out. 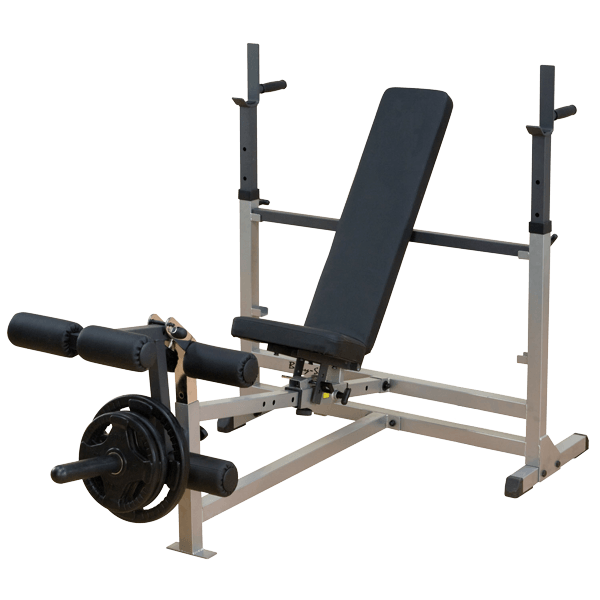 The rock-solid strength and stability of the Power Center Combo Bench comes from the extra-heavy 12-gauge all-4-side welded high tensile strength steel mainframe. Strengthen, tone, and develop your knee, thigh, hamstring, and glute muscles with the six-roller Leg Extension / Leg Curl Station included with the Power Center Combo Bench. Thick, oversized foam rollers provide complete comfort through heavy lower body routines. Designed to isolate and maximize Biceps, Triceps and Forearm muscle concentration. Extra-thick DuraFirm padding. Bar saddle included. Cannot be used independently. High and low pulleys allow you to exercise your back, arm and shoulder muscles. High strength nylon coated aircraft quality (2200 Lb. tested) cable for safe, strong workouts. 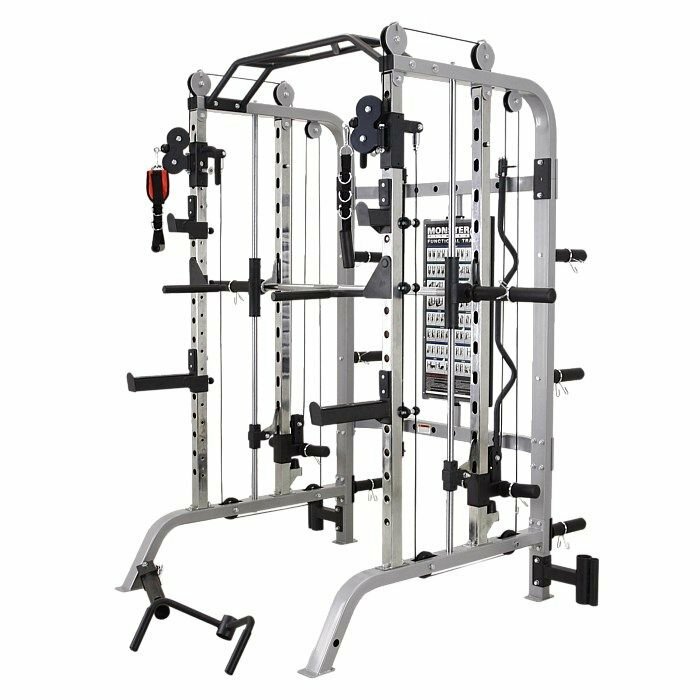 Includes Lat Bar, Low Row Bar and two cables. Height when attached to bench – 210cm.